I am sure each and every one of you reading this has said something to the effect that the events that lie before you are impossible. It may be a change of job, change in family status, preparing for exams, or struggling with a terrifying health diagnosis. As I read Matthew 19:26, I get a different sense. God has given us a sense of the possible. God said that, because he is in your life, he wants you to consider his workings in and through you. That which you see as impossible he will help you make possible. God has given us a spiritual eye to see the unlimited potential in our lives. When we wake up each morning and put our two feet on the ground, God gives us the possibility to know he is right there with us, coming and making the impossible a reality for us. 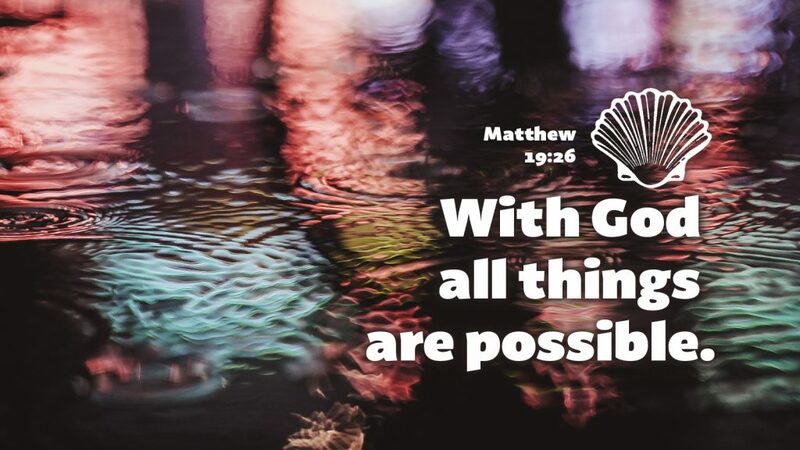 With him all things are possible, but the impossible can only become a reality for us if we put our lives into his hands. It is my belief that God makes the impossible possible when we live as humble children of God. Prayer: Lord, I am thankful that you journey next to me everyday, making the impossible -possible. Amen.